Following a person's a death, an Angel of Death escorts the deceased to the afterworld. There, the deceased person has 7 trials over a period of 49 days. At that time, the Angel of Death, who are not supposed to get involved in human affairs, unavoidably take part in human affairs. 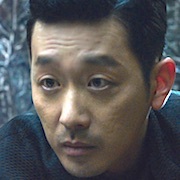 Gang Rim (Ha Jung-Woo) is the leader of the angel of deaths. He has an affection for humans. 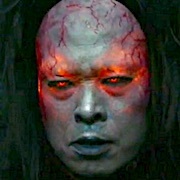 Kim Ja-Hong (Cha Tae-Hyun) receives his trial in the afterlife. Based on the webcomic series "Singwa Hamgge" by Joo Ho-Min (first published January 8, 2010) via comic.naver.com/webtoon. Movie focuses on the "Afterlife' episode of "Singwa Hamgge," the original webcomic features three separate episodes: "Afterlife," "Life" and "Myth." Actor Kim Woo-Bin was offered the lead role, but declined. Filming began May 26, 2016 and finished March 22, 2017.
sleepy Mar 01 2019 2:22 am Amazing movie that I would highly recommend. No doubt. Watch it. The story line is creative, plot elements are unpredictable, superb acting, awesome use of CGI It challenges you on how you choose to live your life and the weight of your existence on others. It's a tear-jerker but it's because of how moving the scenes are. It's fast paced and it has a good blend of sad and funny scenes. It lives up to the title as the second highest grossing film in Korean history. Great original movie that holds a deeper and personal meaning to the viewers. Akshi Feb 26 2019 1:24 am This movie is Perfect in Every Way! When I saw that Cha Tae Hyun, Kim Hyang Gi, Ha Jung Woo and Ju Ji Hoon are the main cast, i knew it was gonna be a blockbuster and indeed it was! The cast is absolutely amazing, the movie is thrilling as well as there’s wit and humour.The production and the stunts are more nd blowing! 100% for this movie! No wonder it is the 2nd highest grossing movie of all time in Korea!! Daebak!!! A must watch!!!!!! Sojun Feb 03 2019 5:34 am This movie is so great... My realization in life become more that I should think about what will I do in my life.. Why is like that? I should afraid in ghosts but it's not.. Tear-eyed jerk..
Kiki Sep 26 2018 8:19 pm this film will be turn into drama later next year. Vench Aug 22 2018 10:58 am This film is beyond awesome. The stunts and the scenes were executed perfectly. I don't usually cry over drama movies or series but this one is exceptional. The visual and graphic effects are not that good compare to hollywood hit fantasy movies but it's still a world class masterpiece. I had a lot of realizations after watching AWTG. The message of the story is really obvious for us sinners. No matter how hard and rough life to us, we need to stay kind and humble. Plus, Ji Hoon's voice, tone and accent are eargasmic. Grim Reapers attires suit 'em well. The family drama is so touching and well-written. Watched it twice and I crave for more. Migthy Thor Aug 18 2018 11:16 am This is one marvelous great fantasy, thrilling, action suspense movie! The stunts were really fabulous! The cinematography is so spectacular! The drama of the family story is so touching. 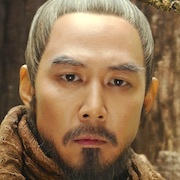 And what I enjoyed the most is the comedy part of Ju Ji-Hoon! The cast (Ha Jung-Woo, Cha Tae-Hyun, Ju Ji-Hoon, Lee Joon-Hyuk & the rest) is just awesome (",) A brilliantly done movie! To the world class level! CONGRATULATIONS to the entire production, crew, staff, personnel and cast! Job well done! Dive Aug 12 2018 12:29 pm A tear-jerker based on the 7 levels of hell believed by Buddhists. It makes you think and reflect how you are living your life today and makes you think of afterlife. This has tragedy and drama as common in many korean films and series. I was crying a lot near the end of the movie. I am looking forward to watch the sequel in which the brother stands trial. I am curious tho who will stand trial in the 3rd movie. I hope it's going to be Lt. Park. Since I want to see more of the actor Lee Joon Hyuk and because I was pissed of with the character of Lt. Park. He buried So Hoong alive afraid that his death will jeopardize his upcoming promotion. 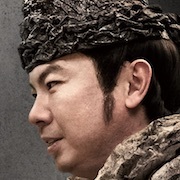 nalle Jun 23 2018 7:00 pm Fantastic movie! I am so so happy a sequel is coming out!! It was amazing start to finish-the acting made the utterly unbelievable entirely believable... and it balanced just enough humor with brutal honesty of the main character and a serious look back at the real truth of his life ...gave us brilliantly costumed/made up gods/goddesses with intricately thought out personalities who are still rich in my mind despite their times on screen being all too brief... And at the end of the two hours I found myself sniffing and teary eyed, blowing my nose at a sand sculpture... And so SO excited for a sequel! Ji Ji Hoon looks nothing like his other roles-he is smoking here, wow! Funny, though-the poster made me think the lead actor was the fellow who played the rich CEO second lead in Temperature of Love and the villain from Voice.I am blanking on the guy I thought, even watching, Ji Hoon was, too. From Wok of Love to My Mister to Are You Human Too to About Time(which has two of them, her madam who is the Goddess of Insolence and madam's BF who was also Pastor Wang in Children of a Lesser God,the creepo trader in Cross and creepapa in Defendant too while also being a wealth god butler/chef in Hwayugi!) and Suits(the lead's grandma) and movies Memoir of a Murderer/Veteran/Tunnel I saw all of recently or am watching now and even the upcoming My 100 Days Prince that the Crown Prince lead role is played by the suicidal guy here who was SO SO effective in such a tough and unflattering role... I think of this so often when I see them on screen...just amazing talents and such an otherworldly sort of next level film...it gave me the same kind of wild ride, exhilaration to crying, as Cloud Atlas, a high compliment from me...it is a must see! Mhye Jun 07 2018 11:13 pm Superb? ?One of the best movie! You have it all in this movie, great cast, good acting, very good story and effects are good too! It will make u laugh and cry! So excited to found out they making a sequel.. good ending as well too???? Jacqueline Apr 15 2018 9:59 pm This was one of the best movies I have ever watched. I was so excited after finding out that there was a sequel movie. I absolutely loved the movie and I can't wait for the next one! I 100% recommend this. Kris Apr 13 2018 11:53 am Was worried it was going to end in a weird spot as there is a sequel. But the movie stands well on its own and so glad I got it right away. Also recognized the girl guide from a Drama special KBS. 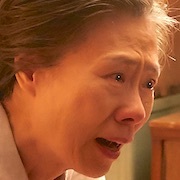 She is a really good actress. Plot interesting. A bit of action. Kim Hyang Gi the world needs to see Mar 17 2018 9:42 pm Hyang Gi We're so proud of you girl !!!!!!!!!!!! Yasssssssssss!! Hope they give you more background in the sequel! Long movie but so worth it. The graphics so beautiful and the acting top-notch. A really good balance of fantasy and action and heartfelt empathy. Can't wait for part 2. Jen Mar 14 2018 3:55 am amazing casts,. Ha Jung Woo and Cha Tae Hyun always do a great job. they really know how to choose a movie. 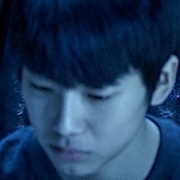 so ive heard about how financially well this movie is and i think i can see why; with the notable casts and cameos, fantasy genre with CGI (to begin with, the CGI doesnt look good at first but it gets better through the movie, it gets smoother), and well, if its from korea, chance is it'd make you cry and this movie is not an exception.. but to pick what i dislike about how the story goes (i know its based on webtoon so it cant changed the main plot), the depiction of the afterlife trials are so shallow, dumb, and unjust, i mean, under different circumstance (for instance, if the brother's alive, he wont be able to visit his mom in the dream etc etc, therefore the base for article 1.1 on last trial wont be viable, therefore, the defendant will be plead as guilty), so the afterlife trials that are supposedly absolutely just not so different with mere court after all.. same thing also happened with the trial of deceit, arent the judge and prosecutors should have more info about the defendant's background on the act of deceit he's done? quite few cringy moments, including the broken editing making me bit unsatisfied watching this movie, however, if you dont use your brain cells to think about why this movie leaves more questions, its quite an entertainment and really good job on the CGI.. the last moment of the mom and his bro talking in a dream is also tear-jerking..
Emelie Mar 04 2018 1:46 pm Seriously, I have no words. This made me tear up. Can’t wait until part two is released!!!! Roxanne Feb 27 2018 5:33 am It was amazing, I've never seen this before. There's movies with similar ideas but it was executed as this. Cannot wait for the sequel! Jestine29 Feb 25 2018 12:54 am that'$ why i hate kmovies and kdramas because they make me cry rivers of tears, jeez they must have cost a lot of fortune bec. Kaddicts have invested a lot of emotions to them hahaha kudos! Rastine Feb 24 2018 9:17 am There will be season 2 right? Along wih the God: the last 49 days? Because there are soooo many question left unanswered. safaa Feb 23 2018 6:30 pm @Sandra! 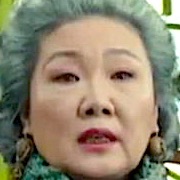 This movie is the second highest-grossing film in South Korea. So it didn't just do well, this movie did amazing job. Lucky Feb 23 2018 4:58 pm Great movie. LOVE IT! Sandra! Feb 23 2018 4:36 pm Does anyone know if this movie did well in Korea? eugene Feb 23 2018 9:41 am Thanks for this good movie ???. Iam crying, laughing, smiling and then crying again. Marie Feb 22 2018 7:22 am My eyes hurt from crying! Great plot, great actors, everyone did an awesome job. This movie is daebak!!! ? zoe Feb 20 2018 7:08 pm To those who are wondering who is the little girl who played as King Taesan her name is Kim Soo-Ahn the same girl in the Train to Busan movie. Also the little boy Jung Ji-Hoon is the little boy in Goblin (Kim Shin's servant). The effects was Daebak!!! If your planning to watch this make sure you have a box of tissue with you. The character of Hae Won Maek reminds me of Sanosuke Sagara of Samurai X. 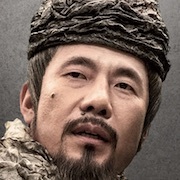 Am really curious about Gang Rim past and why his the only one who has memories hopefully they will explain it on the next part. 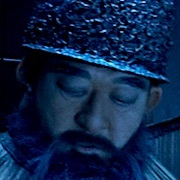 Also the cameo appearance of Ma Dong-Seok as the God of House was awesome. Can't wait for the next part. Kalpana Feb 19 2018 11:27 pm Great movie. Everyone was great....loved this movie. Ha jung woo, jo ji hoon, cha tae hyun, kim hyung gi, kim dong wook everyone was Awesome.... Prepare tissues. maria Feb 17 2018 11:04 am [REALLY RECOMMENDED] BRING TISSUES GUYSS IT WAS WAHHHHHH DAEBAK!!! it made me cry!!! the story is very well made and has the variety of lesson in life everything what we do will be counted and remember in the afterlife thus we need to be careful of our acts!! the plot is very interesting~~~ just at the first scene im already in love with the storyline. I CRIEDDD SO HARD at the ending!!! ps: dont watch with other ppl if u are shy to cry hahahha. Tyka Feb 03 2018 12:55 pm Wow wait up! Filming began on may 26 2016, ends april 2017? Tht was like 1 hell of a year. And just came out in cinema jan 2018? Wow no wonder the graphics were superb. I just finished watching it at cinema and hell yeah i'll give it 9/10! Greyson Jan 28 2018 12:26 pm This movie is so sad and really touching. LASOUL Jan 24 2018 4:39 am I watch thie for the 3rd time in Malaysia n i like it alot. All the cast have so well. SUPER FUNNY! SUPER AWESOME! My bae kyungsoo ?? Kris Jan 12 2018 8:01 am This movie is interesting but it’s too far away to see it, I hope I can view it legally online at some point. Yogi Jan 11 2018 10:32 am We need 2nd movies for the 3 grim reaper. We need to know what will happen with them after find the 49, what makes they died, and what's they reincarnation. ahhhhh the reincarnation of the brothers too, if the 49 can pass. 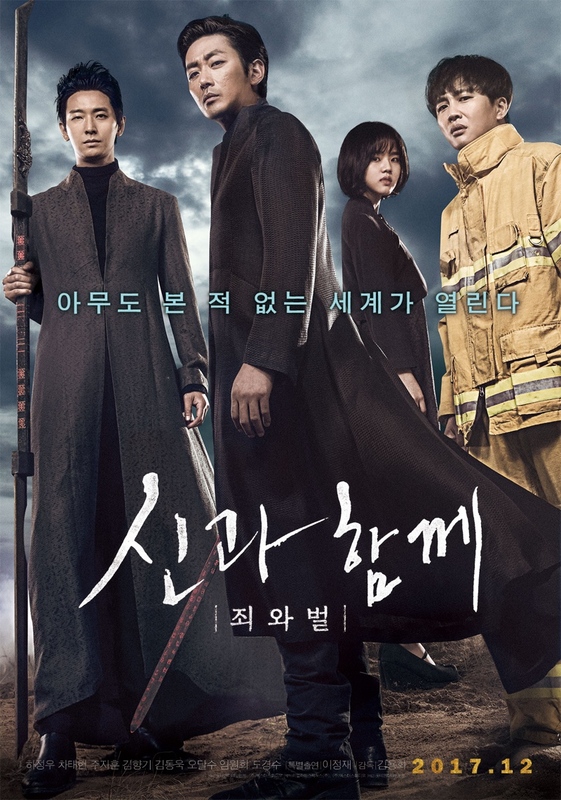 sure we have a lot of question and sure we need 2nd film, Along With the Gods: Grim Reaper. Gongyoo_oppa Jan 10 2018 8:51 pm Who play as one of the god? The little girl, she's at hell for lie(?) i think she's familiar, i wanna know who she is >_< please help to add her name.. She's so cute and pretty with good acting also, so sassy hahaha. This movie veryyyy good! Cried a lot ??? nwk Jan 05 2018 9:12 am One of the best Korean movie! anggichan Dec 30 2017 10:29 pm Cant wait for the premiere in my country! !! yoochan Nov 29 2017 9:18 pm Best movie with great CGI ??? Roros Nov 28 2017 11:23 am Definitely watching this! uri Cha Tae Hyunnim !! sandes Nov 26 2017 4:12 am It's awesome movie.i am dieing to watch this movie.one of my favorite movie is of cha tea-hyun my sassy girl.l think it's gonna be a blast for me. ICE Nov 22 2017 5:38 pm Have waited for a very long time to be able to see Ju Ji Hoon in another drama....LOVE HIM! He is an AMAZING actor... I will watch this just for him! Maninder kaur Nov 22 2017 11:13 am Awesomeness... i really wish that this movie get release in India also. It will be big hit here. Really wanted to watch this movie on first day first show. Malcolm Nov 14 2017 9:46 am This looks epically interesting ...a definite watch..
Alia Alaa Nov 14 2017 5:40 am I can't wait for this omg ????? SunGlass Oct 21 2017 2:06 pm OMG the list of the cast, such a dream team. Unique combo. apploooos Sep 26 2017 1:41 am woww lineup! cant wait! KsoosBride Sep 25 2017 8:46 am Excited for this movie!!! Ruqaya Aug 17 2017 1:39 pm I am soooooooo Enthusiastic about the drama! I can't wait to see D.O oppa! ??? Litte monster Feb 07 2017 12:29 am Kim Hyang Gi and Do Kyung Soo? Eskimo Jan 28 2017 9:49 am Wow ain't this star-studded..
putri Nov 27 2016 8:18 pm don't you think the line up just tooo muuuchh? they really are.. giving the cast to the best actors and actresses. the ones who really could act well. not ordinary actors or actresses that only make a whole fans screaming their lungs out just for the face. well, this is movie anyway, not a mere dramas. BIG ANTICIPATED. LovableOneManKookie Oct 16 2016 8:39 am the lineup is just awesome..
Danniah Sep 22 2016 4:31 am The line-up is just, how can I describe it? AWESOME! Usually I just recognize the first 2 or 3 names but... OMG till the last name, all actors and actress are well-known and very famous.. Where will I find CTH, LJJ, KHN, HJW, etc, etc in one movie but this one? Grant Sep 19 2016 7:46 pm Why Kim Ha Neul wasn't the lead actress?? Kucingku Sep 13 2016 10:24 pm WOW awesome actors and actress are here!!! xxyyzz Aug 01 2016 10:46 pm kyungsoo fightiiinggg!! MJ Jul 19 2016 1:49 pm Do Kyungsoo FIGHTING!!!!! Hayoung Jul 06 2016 10:52 am Cant wait for D.O, so proud of him! Alah Jun 26 2016 9:05 pm Is there any place to read the eng webtoon full one?? momoa Jun 21 2016 3:03 am I m looking forward because these actors: Cha Tae Hyun, Ha Jung Woo, Ju Ji Hoon, and Ma Dong Suk. They are such great actors.. but the cast is....... I cant believe it. Hope it will be good movie!! Syi Jun 20 2016 1:18 am Damn the acting line! Can't help but to feel excited and all eager now! nana Jun 06 2016 11:16 pm all the stars are here, definitly worth to wait!! Cha Concubine May 18 2016 7:05 pm My actor Cha, SuChan's appa, youre the best! I'll go to the cinema bcz of you. ChaChaChaholic May 08 2016 10:48 pm woah, great actors, best actors, amazing actors here (and actresses too), especially my ideal man, Cha Tae Hyun, class is permanent. Cant wait for this movie!!! Amy May 06 2016 12:20 am Why kim woo bin decline the role -_- The plot seems interesting too me..
EXO D.O Apr 20 2016 11:59 pm Hope hyang gi and ksoo are brother and sister in this movie. Kpop_lover Apr 20 2016 12:28 am Omg omg omg Kim hyang gi and D.O oppa!!!?? yaaay long lost siblings gonna be in one movie >w< both of them are adorable. Exo l love d.o Apr 18 2016 6:04 am Omg is d.o the main role ??! Minzippyong Dec 30 2015 12:58 pm Argggghhh cant wait this movie, ppalli ppalli.. Missing Taehyun's act..
kai Dec 29 2015 7:01 am a great film? it's not for no reason great actors are joining this movie. especially for Cha Taehyun, i believe he isn't taking a role randomly. park shin hye Jul 31 2015 10:08 am please accept KWB oppa! czak Apr 28 2015 6:20 pm This was also the movie that had WonBin's name attached?